When dreaming up your floral vision, use your venue as inspiration. If your venue is surrounded by nature, go on a little walk about and look at the foliage and flower varieties that grow near your venue. For example, maybe you are getting married on a winery and you could incorporate grapes in your arrangements, or a deep rich wine tone. 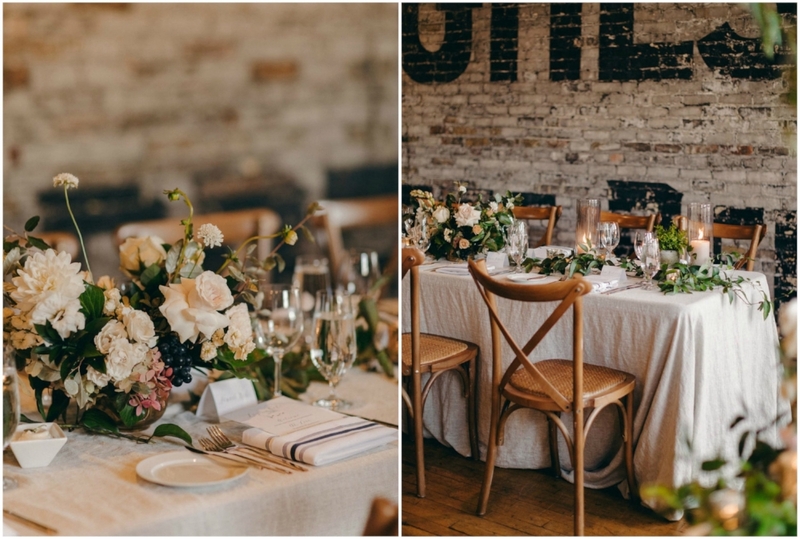 Perhaps your venue has an Italian influence, so your could incorporate olive branches into the design. If your venue doesn’t have an outdoor element or is in an urban setting, you can see still utilize the space for insight. 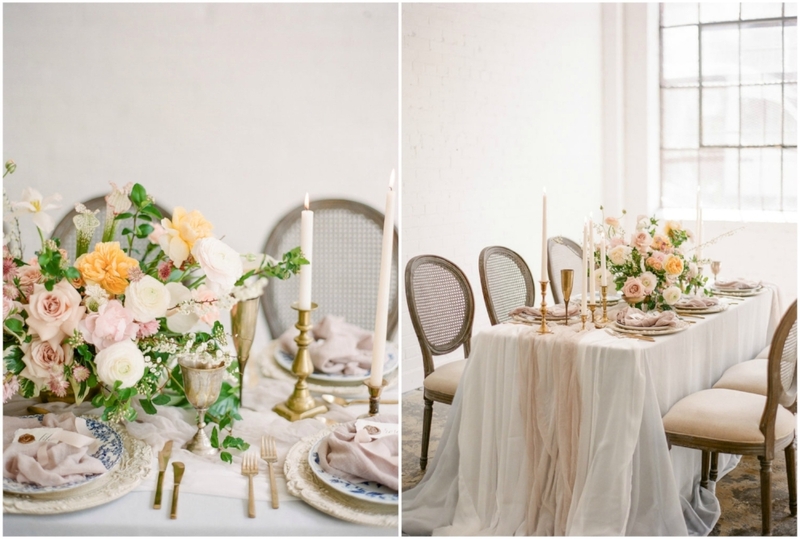 Explore the different colour, tones, textures and mood of your venue and allow inspiration to flow from your findings. photo by Simply Lace Photography, flowers Bloom & Co. The days of red rose ball centrepieces are over my friends (or at least in my opinion they should be). The shift to natural, garden inspired flowers has taken over in the last years and all I can say is I hope this timeless trend is here to stay. Wedding flowers have moved away from the tacky, uber compact and uniform arrangements to something much for natural, stylish, and organic. Choosing a skilled and knowledgeable florist for your wedding is the #1 step to beautiful wedding flowers. You truly do get what you pay for. Those effortless, natural, and cohesive arrangements take a ton of work and artistry. Working seamlessly with an array of colours, shapes, texture, and floral varieties is no easy task. I’ve be lucky enough to work with some of Toronto’s most talented florists and I can tell you first hand, hiring a pro is worth it. photo by Mango Studios, flowers White Oak Flower Co. I think it’s important to communicate your vision, mood, and desired colours to your florist - however, I highly suggest not to micromanage their process. Tell your florist the tones and hues you wish to see in your arrangements, but don’t dictate exact pantone colours (besides, mother nature doesn’t work that way). I also feel when you allow your florist more creative freedom, you encourage them to use their best judgement and produce a more seamless and unique outcome. This is where having an amazing florist comes in handy. Your florist will be able to guide you on what flowers are in season and which ones aren’t. I recommend going into flower consults with an open mind and allowing your florist to guide you on flower varieties that compliment your vision best. I feel allowing your florist that creative freedom to choose the seasonal flowers for your day will have the most beautiful results. For more stunning floral inspiration, I encourage you to check out the work of the incredible Toronto and Niagara florists featured here! Until next time lovelies!